The Carbon Claw SC TX-7 leather weight lifting dipping belt is designed to make your training more intense and effective by adding extra weight resistance to each session. Manufactured from leather, the belt is both strong and durable and has heavy duty rivets, a chrome plated welded chain link attachment and snap lock caribina fixing to securely hold the weight in place. Plus, with a 6 inch (15.2cm) central back piece, it ensures added lower back support. The belt can be used with weights up to 40kg (88.2lbs). for submitting product information about Carbon Claw SC TX-7 Leather Weight Lifting Dipping Belt We aim to answer all questions within 2-3 days. 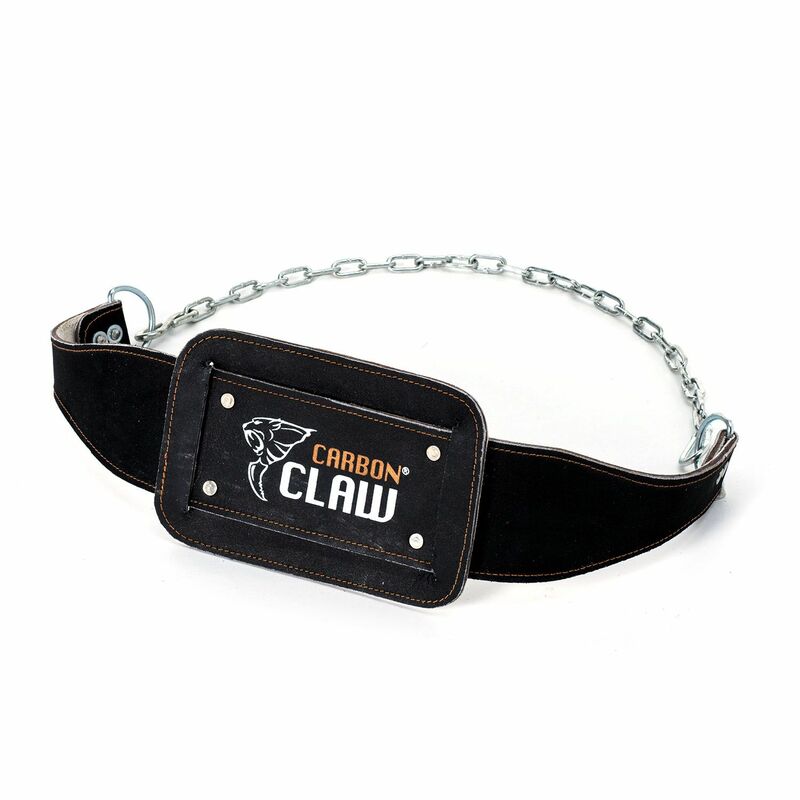 for submitting product information about Carbon Claw SC TX-7 Leather Weight Lifting Dipping Belt. We aim to answer all questions within 2-3 days. If you provided your name and email address, we will email you as soon as the answer is published. for submitting product review about Carbon Claw SC TX-7 Leather Weight Lifting Dipping Belt.